Nelly Sachs wrote a short time after the Shoa: „You who have not raised a murderers hand, but who did not shake off the dust from your yearning, who stood still, right where dust is turned into light." But when do we take this necessary step in Germany? In the spirit of this sentence by Nelly Sachs, the Jerusalem Friedensmal emerged as a creation in the material world, for even the good and true thoughts must become comprehensible. If you like this practical implementation of what is also special about the perspective of Nelly Sachs, then please help with the realization by sharing the Internet address: www.freedom.garden or share a post on Facebook. 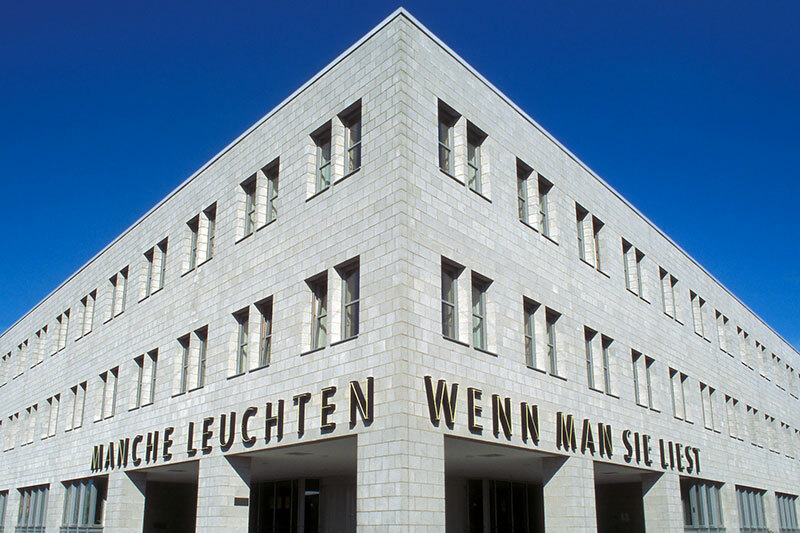 "The study deals with the possibilities of poetry after Auschwitz and the drafting of a new language in the life-enhancing power of poetic expression founded in the knowledge of a „general world solidarity” (Sachs). Central to the analysis is the enactment of a productive living with alterity which, fed from the traditions of Jewish and Christian mysticism, in remembrance of the victims creates space for perceptions that oppose the cycle of violence. The theoretical horizon is developed in the confrontation with the Jewish religious philosopher Emmanuel Levinas, who reflected the concept of alterity and its philosophical relevance within the contemporary discourse most emphatically. 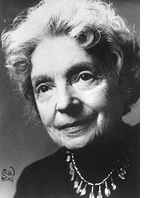 The poetry of Nelly Sachs, which can be understood as a guide to the unsecured is on the road to a language of love that explores new worlds and opens a gentle access to the inalienable own of the others person." I feel very touched and full of energy: what a coincidence! Is this kind of a message? I feel, that i want to take a closer look. These words on the back of the book express exactly what is the content of my work and what my asoziation concerns. Isn't it true, that the language of the Garden of freedom is „a new language in the life-enhancing power of poetic expression founded in the knowledge of a general world solidarity”? Isn't it true, that the expression in the design is „fed from the traditions of Jewish and Christian mysticism, which creates in remembrance of the victims a space for perceptions that oppose the cycle of violence”? And can not also this „poetry” in form of a material monument be well understood for all parties as a „Guide to the unsecured” and as being „on the way to a language of love that explore new worlds and opens a gentle access to the inalienable own of the other person”? I am so excited now about what I am going to find out soon. Next to this book there is another book in the shelf, which is about the work of Nelly Sachs: „Gesture of reconciliation”, a study. How could it become clearer? The work of Nelly Sachs was like no other shaped by the experience of Nazi atrocities. The tragic fate was the source of her works. 1908 letters to her inspiring examples Hermann Hesse and Selma Lagerlöf. First poem in the Impressionist style. 1911 first legends and stories. 1912 Beginning of her friendship with Dora Horwitz. 1930 death of her father, she also wrote several poems about it. 1933 start of intensive study of her Jewishness. 1939 She had to assume the name 'Sara', like all Jewish women. 1940 loss of her voice after being interrogated by the Gestapo; Escape with her mother to Sweden; Translator of Swedish authors; the horrors of persecution and the horror of the Holocaust appeared in the style of her writing. She had a personal relationship with Paul Celan. (note: "Death Fugue" by Paul Celan was the theme of my German-Baccalaureate). 1950 her mother dies. She wrote several poems about it. 1952 She adopts the Swedish citizenship. 1965 Peace Prize of the German Book Trade; Poetry book based on Novalis and Hölderlin. 1966 Nobel Prize for Literature together with the Israeli writer Samuel Josef Agnon for „works, that interpret the fate of israel in poignantly strength”. These words of Nelly Sachs, which I found in the first book, touched me very much: „All the longing that like in the time of Chasidim made the Jewish people come back to their God again, has become newly alive at the few who perhaps may survive this horror." We who are rescued, from their hollow bones, death has already cut flutes, at their sinews, death has already drawn his bows - Our bodies still mourn for with their mutilated music. We who are rescued, still loops hanging twiddled for our necks in front of us in the blue air - still the hourglasses are filling with our dripping blood. We who are rescued, still they eat of us; the worms of fear. Our heavenly body is buried in the dust. We ask that of you: don't show us a biting dog yet - it could be, it could be that we crumble into dust - before your eyes crumble into dust. What's there that keeps our weaving together? We who lost the breath of life, who's soul fled to Him from the midnight long before they saved our body in the Ark of the moment. We who are rescued, we squeez your hand, we recognize your eye - But only farewell holds us together, the farewell in the dust holds us together with you. „We ask that of you: Don't show us a biting dog yet, it could be, it could be that we crumble into dust - before your eyes crumble into dust. What's there that keeps our weaving together? ” And before the request: „Let us quietly learn to live again.”. What's the deal with the Circle of Peace? „Lead us from star to star in footstep. Let us quietly learn to live again. This could cause 'the song of a bird, the filling of the bucket at the well, to make breaking open our bad sealed pain and foam us away - ”. It is time to make a step: This serious sign of a Circle of Peace is a quiet song, that may touch people - being aware of their own inner essence. It is a touch which is gentle and not urgent. So it is not a falling into a new star, never there is created an urge to displace, but it means to go steps. - „Lead us from star to star in footstep.” This are steps of peace in acknowledging the past. The answer to abuse is love, in which also the full extent of the abuse is clear and should be clear. It is then that ”a song of a bird” does not make „breaking open our bad sealed pain”, because it was turned into love, but it will honestly rejoice the heart again. But unlike „a song of a bird” this song of silence in the Garden of Freedom does not bring a beauty that is again carried away with the wind in its ease, but it remains as a voice in the consciousness, that man is never alone. We „ who are rescued, we squeez your hand, we recognize your eye - ”! What apart from „the farewell in the dust holds us together with you.”? It must be something holy. I would like to present two quotes that I found in the book „What is the other, on that you throw stones?” by Johanna Kuric. Followed by two excerpts from poems by Nelly Sachs. „There is no great feat of Judaism in exile, which would not be in the core a theodicy. Hasidism, this great flame from the heart of the ghetto, that gathers all its murkiness and darkness and burns it to light, is the last great explicitly religious, meaning connected to the revealed G*d, theodicy of Judaism” (Margarete Susman from „The Job problem with Kafka"). Nations of the earth, do not destroy the universe of words, do not cut with blades of hatred the sound that was born with breath the same time. You who are watching, there was killing under their eyes. How one also feels a glimpse in the rear, so you feel in your body the glances of the dead. in looped branches of martyrs manner of the old oak trees? How much memory is growing in the blood of the evening sun? O the unsung lullabies in the turtledove night call - many a man could have brought down stars, now it needs to do the old well for him! You who are watching, who did not raise a murderer hand, but who did not shake off the dust from your yearning, who stood still, right there, where it is turned into light. Are there situations where you have to fight against „evil” for love? Yes, those situations certainly exist, because love does not mean that you had to accept the disregard of your boundaries in the encounter with others. A healthy love is always associated with justice and the protection of one's own being. So what means should be used for a better, a more just world with more love? Following my involvement with Nelly Sachs this important issue cleared up for me. As we often think we had to fight against an enemy outside of us, instead of allowing us to be loving in our inside, our power drains - and „evil” is growing. But the opposit is also true. Because of fear of the violence of the struggle in the world we remain outsiders and look away: but with that we also do not follow our yearning for the light, where there isn't any fight - and so „evil” is growing. What a lie is that struggle, that keeps us from building a more peaceful world by being in our love. It may be a good point of view, not to see good and evil as a polarity, but evil (darkness) as the absence of love (light). Perhaps in that perspective really the only thing to do on this earth is to strive for love and more love (and therefor light). The problem of evil can only be solved in a contribution of oneself in an attitude of love; if living love would become the core of our culture. The fight or the impression of a need to fight only shows that we failed previously in our love. And „evil” will come back and ask us again with the challenge to become love. So also „the struggle against fascism or anti-Semitism ...” isn't always a good answer. Hitler: „Mein Kampf!”, meaning „My Struggle” - that is reason enough to stop right on this issue with the fighting. We think too much about fighting and too little about loving. For me this work is a continuous effort and it is a reaching out beyond of what I know and believe to be able to master. It therefore isn't possible without a courage to make mistakes. The integration of the newly experienced causes the growth necessary for the further work. To become timid for the fear of making mistakes would be tantamount to a standstill and the give-up of vitality. The particular problem in the Holocaust issue is the still present intensity of the perceived pain; the still open wound that does not easily tolerate errors. „As the logos is representative for Greek thought, so Shalom is for the Jewish” Derrida wrote in his book „Violence and Metaphysics” - so we understand, how deep the Nazi madness hurt the Jewish soul. And the soul of humanity! Through this insight the previously mentioned phrase of Gershom Scholem about the mission of Israel in the Diaspora „Collecting and uplifting through prayer and pious act the sparks of holy souls and G*d's light” becomes even a far deeper meaning. When you raise up your walls again - your stove, sleeping place, table and chair - don't hang your tears around those, who passed away, which are no longer living with you on the stone, not on the wood - it cries else into your sleep, the short one, you still need to do. Sight not, if you bed your sheets, else your dreams mix up with the sweat of the dead. Oh, there are the walls and equipment receptive like the wind harps and like a field therein your sorrow grows, and feel the dust-related in you. Build, when the hourglass trickles, but do not weep away the minutes together with the dust, which covers the light. How can the pain of loss are processed? The survivors who endure it must supplant it to sleep again. How else could they turn to life again? And yet the walls and the equipment are receptive like wind harps and forgetting does not work. The reason to endure it and to rebuild the new, can only be the knowledge of the light. This shows a deep longing for God. From this yearning, the bridges of love can be built. Such is the Rose of Shalom in the Circle of Peace. Because the energy of light will cause the stone to break into music. From urge, repression, not being able to process and wanting to forget a pain, which is to deep - like a stone in the heart - it becomes its transformation into love. Therein the Circle of Peace shows in its confrontation with the incomprehensible a path to God, and is thus a sign of hope for the suffering.